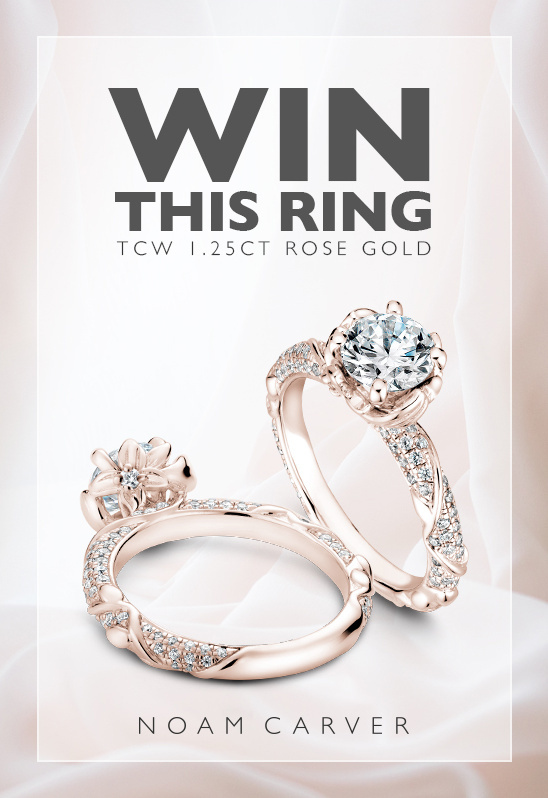 WIN this stunning ring from Noam Carver’s floral collection worth $6,000 with a total carat weight of 1.25ct!!! To enter the contest click here or the banner below. Noam Carver is a Canadian award-winning designer, sculptor and goldsmith, whose jewelry unites classical and contemporary motifs from around the world. His innovative collections have been designed with the utmost precision and quality. From concept to creation, each piece is meticulously designed and handcrafted with the finest grades of gold & platinum and set with high quality diamonds. Noam Carver strives to highlight the uniqueness of each individual by creating award winning and captivating jewelry. To see more stunning jewelry from Noam Carver, head on over to the CrownRing website by clicking here. You can also stay tuned by following them on Facebook, Twitter, Pinterest and Instagram.